Back in January of 2003, before Arnold Schwarzenegger took on the Indian casinos in the California recall campaign, the state of Connecticut became the first in the country to pass legislation designed to stop all future casino development. The reason this is important, and why California should take notice, is that Connecticut is home of the two most profitable casinos on earth. It is the only state ahead of California on the Indian casino curve, the clear harbinger of what we can expect to happen soon in the Golden State. "We are receiving 25 percent of the slot machine revenue, $400 million a year, and we are just a tiny state with 3 million people," says Jeff Benedict, president of The Connecticut Alliance Against Casino Expansion. "Twelve other groups are lined up, wanting to build more. But our Legislature, which gets all this money, said no thanks." Connecticut residents don't want their state to become Las Vegas East. The Connecticut state Legislature became so alarmed by the looming threat of further casino expansion that it repealed its "Las Vegas Nights" statute. Federal law only allows tribes to offer gambling where it's permitted under state law. So now, Connecticut officials have outlawed even charity gambling in hoping that will enable them to bar more casinos — perhaps even close the two they already have. "Casino money costs us a lot more than it's worth," says Benedict. Casinos have an enormous impact on infrastructure, on roads, water and land consumption, fire, police and ambulance service, air pollution and traffic. They burden health and school systems with the children of low-wage casino workers and create a severe shortage of affordable housing. They cause property devaluation and lost taxes from businesses and lands taken over by tax-exempt tribes. Although casinos argue they create jobs and help neighboring businesses, they are in fact a drain on competing restaurants, bars, hotels and retail outlets. "When the Indian casino comes to town, nobody else does well," says Benedict. The Pequot tribe has also subjected its host state and local governments to a decade of legal battles over tribal land annexation, property taxes, land use regulations, sovereign immunity from lawsuits and police jurisdiction. Local communities have spent millions litigating against further casino expansion. Twelve would-be tribes are petitioning for federal tribal status, and new land claims threaten over one-third of Connecticut's real estate. And finally, there are the social costs — increased bankruptcies, foreclosures, divorces, child abuse and crime. "The closer a community gets to a casino, the higher those numbers are," says Benedict. "Who pays for that? The local and state governments." As Connecticut fights to stop casinos, California is expanding and many other states like Pennsylvania, Maryland and New York are just gearing up. "They should all take a close look at California," suggests Benedict, "because what happened to us is about to happen to them. Gov. Schwarzenegger's legacy will be how he handles this issue. Ten years from now, will California be the new Nevada?" Thanks to their monopoly on gambling in our state, California Indians could eventually become the richest people on earth. Their 51 casinos are already raking in $5 billion a year, which isn't far behind Las Vegas' $7.7 billion, and they are pushing for more, more, more. With 107 federally recognized reservations and rancherias — more than anywhere in the country — California could easily surpass Nevada as the nation's gambling capital. 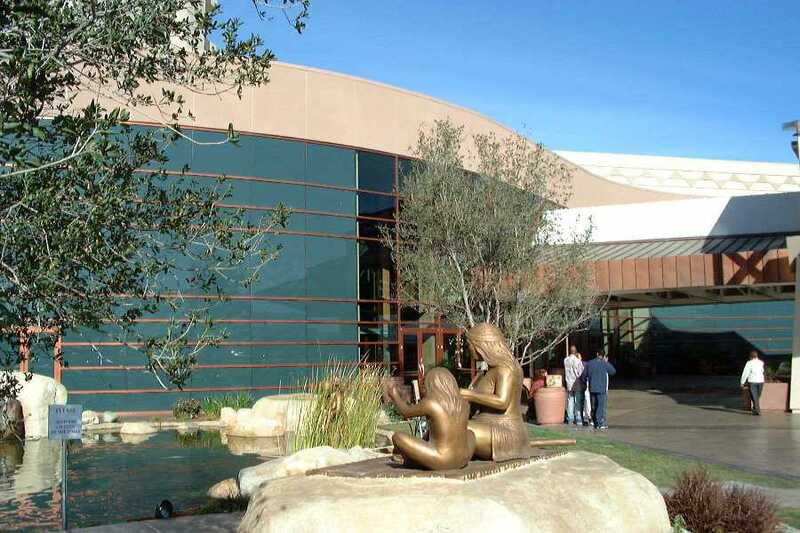 San Diego County already has more tribal casinos than any region in the country. Most of its nine casinos are evolving into deluxe resorts, and five more tribes are trying to get a start. "Reservation shopping" has led to bigger casinos near urban areas, like the Auburn tribe's Thunder Valley near Sacramento. The Coachella Valley is about to be transformed into an international gaming destination with the building of five mega-resorts. Its promo campaign is "Why Vegas?" Indeed. Pat Johansen of the Coachella Valley Coalition for Responsible Sovereignty fears an influx of low-wage workers could overwhelm that community's health, education and welfare systems. "It could create a whole new underclass in the Coachella Valley," she says. If the tribes refuse to contribute their fair share, it's virtually inevitable. So it is exasperating to watch as various tribal chairmen, all huffy with indignation, excoriate anyone who dares suggest they start paying a reasonable tax on their revenues, arrogantly pontificating that governments cannot tax other sovereign governments. The nerve. Our courts are clogged with lawyers arguing issues of "tribal sovereignty." Next to Indian casinos, Indian litigation is California's only growth industry. The problem is that tribal sovereignty, "governments within governments," is a concept, not a reality. It's hooey. The dictionaries say it means "independent," but even a cursory look at our Indian tribes shows they are totally dependent on their host governments. They depend on state, county and local governments for infrastructure, power, water, fire and police protection. They need the roads so customers can travel to their casinos. They need the U.S. mints to make the money the customers lose in their casinos. They send their children to public schools and universities, their sick to public hospitals. And if a foreign dictator invades one of their reservations, they'll call in the U.S. Marines. The notion that tribes should be treated like Canada or France, as some tribal leaders assert, offends common sense. If they are independent nations, why were they allowed to give $12 million to Gray Davis and Cruz Bustamante during the recall election? The California recall demonstrated just how fast public attitudes can change about casino gambling. 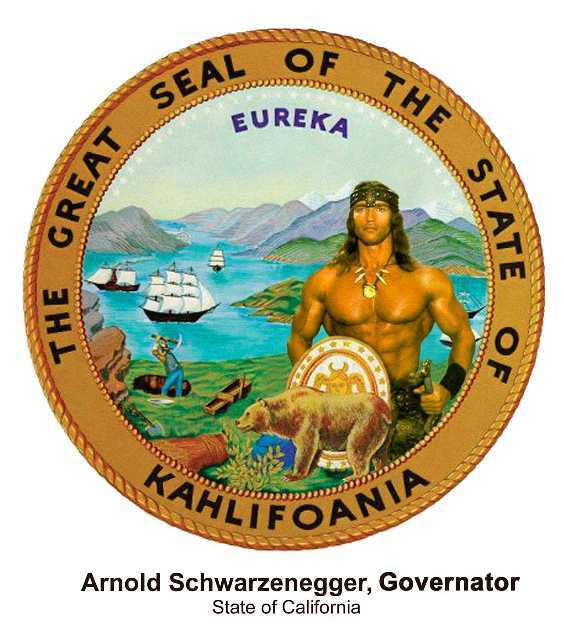 Pro-Indian casino initiatives passed overwhelmingly in 1998 and 2000, but then Schwarzenegger won in 2003, largely because he was the first politician brave enough to challenge the Indians and demand they pay "their fare share." Moreover, there is a time lag of a few years between casino expansion and its negative impacts, so Californians are still on their honeymoon with Indian casinos. The big new resorts are dazzling and fun and closer than Nevada. And it's great that Mom and Dad have a place to hang out with their fellow pensioners during the day, enjoying the cheap buffets and big band music (and video poker). Hey, it's like a mall for seniors! A rave for retirees! How nice. We'll see how we feel five years from now, when every family in California has a member in recovery, or has been impacted by a lost house or bankruptcy, a ruined marriage or disappearing IRA account. By then, as headlines blaze with tales of scandal and corruption, the electorate will be getting angry. Connecticut gets 25 percent of the action, and its residents want to close casinos down. Nevadans accrue value from gambling; they don't pay sales taxes. How will Californians react when they realize they aren't getting jack? Probably like the torch-and-pitchfork wielding mob in "Frankenstein," charging the castle to burn it down. When that happens — and it will — the Indian tribes will need somebody to protect them. So when the Governator extends his hand and says, "Come with me if you want to live," the smart move is to accept his offer. 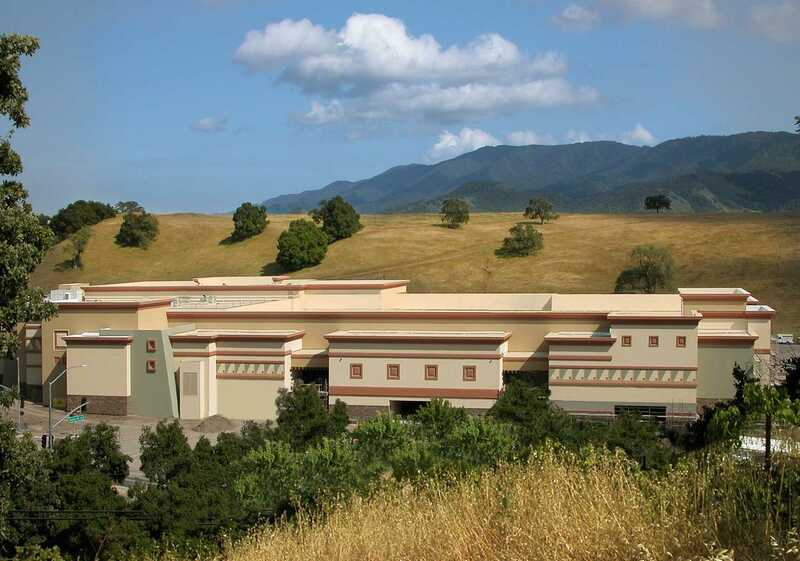 If tribal casinos want to survive, they need to make the state of California their partner. 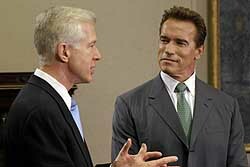 They should insist on giving Arnold 25 percent, and thank him for the opportunity to contribute to a strong and better state. California tribes need to practice sovereignty in a way that is responsible to their "host nations" — state and local governments. If they choose the endless warpath, they will lose the war, and "sovereignty" will be terminated. This is difficult for them to accept, because they have achieved success and financial independence through two decades of aggressive court battles and relentless warfare with the state. But the war is over and they won. They need a new "postwar" strategy. San Fernando Valley author and freelancer Jan Golab has covered Indian gaming since 1983. He is currently writing a series of stories on tribal sovereignty for The American Enterprise Magazine. This is the usual litany of unproven assertions, from a known foe of Indian gaming. A better writer would quote people on both sides, giving a more balanced picture of gaming's effects. Because the picture is mixed at worst, according to objective observers. Air pollution? From what, cars? If people weren't visiting a casino, and sitting at slot machines for hours, they might be making several trips elsewhere, causing more pollution. Casinos have high-wage as well as low-wage employees, just like any business. They may employ a few hundred or thousand employees, but how does that increase the burden on schools or housing? Does Golab think these people didn't exist until the casinos opened? Where does Golab think these people were employed before? Where did they live? Where did their children go to school? Were they earning higher wages previously? Etc. Fact is, casinos are merely shifting jobs, at worst. If a few workers move to be closer to the casino, they may have a slight impact on the housing and schools there. But for every area that increases in population, another area decreases in population, so the net effect is nil. And if casinos are creating jobs rather than merely shifting them—as all the studies show—they're removing people from the welfare rolls and the associated social services. That's a clearcut benefit to state and local governments. Most tribes are building casinos on their present land, not taking over new land. So Golab's fears about losing tax revenues are overblown. The revenues were "lost" when the reservations were first created decades ago. As for local businesses losing income and paying fewer taxes...that might happen if the casinos competed directly with them. But again, the record is mixed at worst. Many businesses do better with a casino in their midst. Even if that were true—which, again, isn't proved—it's hardly the whole story. Many services companies other than those competing directly with casinos will benefit. And if a casino increases overall visits to an area, other nearby destinations will benefit. How could a casino hurt retail outlets, anyway? For the most part, casinos don't sell retail merchandise. Golab is throwing up all sorts of scary assertions and hoping some will stick. Perhaps that should say, "The host state and local governments have subjected the Pequot tribe to a decade of legal battles over tribal land annexation, property taxes, land use regulations, sovereign immunity from lawsuits and police jurisdiction." I'm guessing the state and local governments, not the Pequots, instigated the majority of the legal battles. Says who? California's casinos are spread over a much bigger geographic area. Many are located in rural areas. The alleged problems of traffic, environmental impacts, and land-use battles should be correspondingly diluted. Most Californians will never experience them firsthand. Is Nevada some sort of horror story to be avoided? I thought people were flocking there because of its low taxes and relatively free business climate. If casinos are responsible for that, is that a bad thing? Talk about your inflammatory language. Arab sheiks and tech moguls like Bill Gates probably have nothing to worry about. But what if California's Indians did become the richest people on earth? Someone has to be the richest, so why not the Indians? If they had kept ownership of most of the continent, as the treaties they signed promised, they would've been the richest people on earth for that reason. Sounds to me like the scales of justice are finally balancing. Yes, and San Diego is doing fine despite this concentration of casinos. That suggests how overinflated Golab's charges are. It's exasperating that they quote federal law stating that states can't tax tribes on their gaming revenues? Don't blame the messenger for the message, Golab. If you don't like the federal law, change it. Yes, lawyers for self-serving state and local communities are trying to undo settled federal law on tribal sovereignty. That law has been in place for almost two centuries. So what is Golab's point: that state and local lawyers should get out of the courts and off the tribes' backs, where they've been for decades? That they should stop trying to chip away at well-established tribal sovereignty? Every political construct—freedom, democracy, civil rights—is as much a concept as a reality. The same goes for sovereignty. Take Puerto Rico or the District of Columbia, for instance. By passing a law, we could instantly transform either one into a state, an independent country, or something in-between. Whatever sovereignty they have as citizens of the USA and their respective regions is arbitrary and subject to change. It's a mutable concept, in other words, not a fixed reality. Not by their own choice. So make them independent if you don't like the present arrangement. See how the USA functions with 560+ truly independent nations in its midst—each with its own currency, laws, and control over its roads, air space, and natural resources. Blah, blah, blah. The US needs the mineral resources found in Indian country: coal, uranium, and so forth. Not to mention water...I'd love to see what happens if several Western tribes exerted their sovereign control over the Colorado River. The US needs the roads that pass through Indian Country; again, it would be interesting to see interstate commerce choked off at Indian borders. Tribes could mint their own money just easily as some are manufacturing their own license plates. Because Indians perform all the duties of American citizenship, including paying their taxes, they deserve all the benefits of citizenship, including use of schools and hospitals. And if a foreign country invaded one of their reservations, it would be to the US's benefit to intervene. In fact, a sovereign Indian nation could legally invite any foreign country to station troops or place missiles on its soil. Is that a result the US is prepared to accept? As you can see, Golab's objections are fatuous. It's in the US's interests to keep the Indian nations quasi-sovereign at best. From the Indians' point of view, the more sovereignty (i.e., control) they have over their own land, the better off they are. Because they're quasi-independent, not truly independent. They have a unique status in the American system. But feel free to give them their complete independence if you don't like the present system. Just don't complain when, say, the tribes in San Diego use their riches to place missile embankments around their casinos. Because that would be their sovereign right, right? Because he demonized them with well-executed lies and propaganda, you mean. See Have Gaming Tribes Bought California for $120 Million? No for details. By the way, it's "fair share," not "fare share," bright boy. See Schwarzenegger Ad: Gaming Tribes Should Pay "Fair Share" for more on the argument. Is there? I've never heard of this so-called lag. Where's the evidence for it? I'm shaking at the prospect of these truly scary outcomes. One wonders how Las Vegas and Atlantic City have survived as long as they have. So they'll react like they always have when Indians stood in their way and denied them their God-given right to dominate the world? They're already doing so, as most "host" governments will agree. Again, note that Golab hasn't quoted any state or local officials who deal with casinos in their midst. He's quoted only opponents of Indian gaming. "The endless warpath"...a final scary stereotype in an essay full of scaremongering. 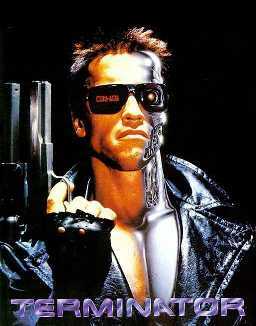 Schwarzenegger doesn't have the power to terminate tribes. Congress may, but Indians have many friends in Congress. Even conservatives no longer favor termination as a policy. I've worked at PECHANGA.net for two years and have never seen Golab's byline before. The American Enterprise Institute is a right-wing think tank with the usual right-wing bias. If that's who Golab has written for, no wonder we haven't heard his slanted opinions until now. Too bad he didn't keep them to himself and his like-minded cronies.